One of the best things about Paris is the sheer number of things there are to see and do—and, of course, eat! Considering it is just over the channel I am disappointed to say I have never been myself, but who knows maybe one day. If like me you like to be prepared then there are hundreds of posts out there - it's easy to get lost in a land of 'do this and try that'. 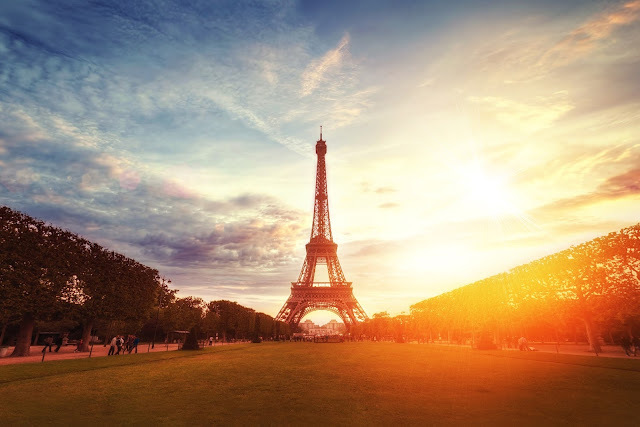 So once you have book your travel and decided on the perfect vacation rental in Paris - start making that list of things to do so you don't waste a single moment in the land of lights. Let’s face it this is the iconic Parisian landmark. Beautiful during the day or night. Take a visit to this opulent opera house to view the grand staircase and auditorium bedecked in marble and gold leaf. Be sure to look up at the ceiling and spectacular chandelier. Take a leisurely boat ride or just enjoy the walkway. On a sunny day you’ll have plenty of locals to keep you company. This historic cathedral dating back to 1163 - it’s also considered to be one of the best examples of French gothic architecture. Free every first Sunday of the month between October and March. The lesser crowded “Porte des Lions” entrance will enable you a quicker access to the Mona Lisa, the Venus the Milo and the Winged Victory. There are multiple cabaret experiences to be had in Paris, most notably the Lido, the Crazy Horse and the Moulin Rouge. Head on down to Showcase before midnight and you’ll be treated to free admission. Why should you check out this spot? Well, it hosts a fantastic array of live acts playing everything from rock to jazz, along with some of the world’s top DJs. Over 4 million people have enjoyed one of the Sandeman’s New Europe free walking tours of Paris since 2004. Take this tour and you’ll find yourself walking along the banks of the Seine, strolling through the popular Latin Quarter (pictured here), standing in the shadow of the Eiffel Tower and more. There are loads of great one-of-a-kind, vintage shops in the Marais and Montmartre area. Rue de Rivoli is one of the longest streets in Paris. It starts near Saint Paul, runs along the Tuileries Gardens and the Louvre, and goes all the way to the Hotel de Ville. There are too many shops here to count, with everything from cheesy souvenirs to bohemian boutiques to high-end designer shops. Several of Paris’ charming 19th-century shopping arcades (“passages”) are still open and lined with cute shops and galleries. These glass-covered passages, located at Passage des Panoramas near the Musée Grévin and the Passage du Grand Cerf near rue Montorgueil. Heading to an outdoor food or shopping market, like the Bastille market on Thursday and Sunday, is a great way to see how many of the locals go grocery shopping. Lets get the most obvious out there straight away with Le Jules Verne, which sits happily within the Eiffel Tower itself. This classically French restaurant serves an envisioning menu that is produced from some of the best French ingredients. Sit on their tranquil open terrace and soak up a full view of the Eiffel tower at sunset. Situated on top of the National Museum of Modern Art, Georges provides the opportune place to enjoy a vista of Paris. The impressive glass curved windows at Kong provide once of the most spectacular restaurants in the city. The rooftop of Les Ombres is directly in front of the Eiffel Tower. You’ll be hard pressed to say which is better: the amazing food you’re eating, or the majestic Eiffel Tower. Technically not a restaurant but a fine way to dine nonetheless. This is one of my favourite concepts and something that I hope comes to London very soon! Paris Picnic allows you to order a bespoke picnic online, at a certain time and to be dropped off to you at a particular Parisian location. Is there anywhere that jumps to mind when you think about visiting Paris?